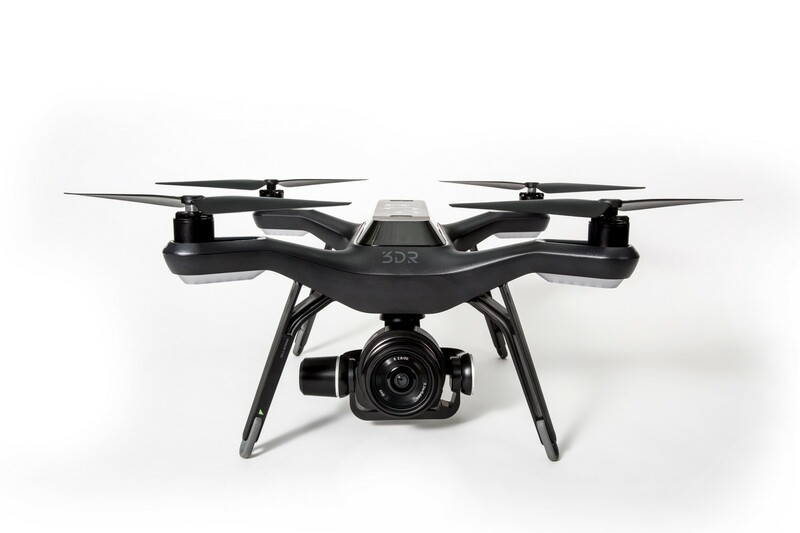 Last week at NAB 2016, we unveiled our new drone: Solo. You might remember we unveiled Solo at NAB 2015. You remember right. 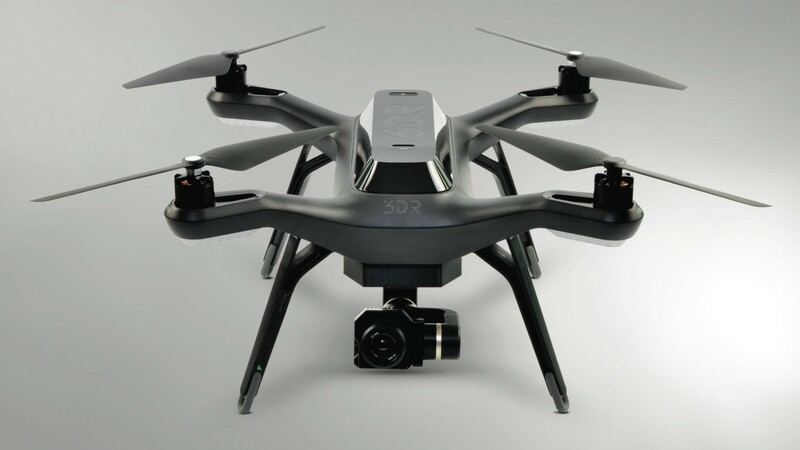 However, you may also remember our promise last year, that we built Solo to evolve: You wouldn’t have to buy a new drone this year in order to get this year’s drone technology. And so this year, we give you: Solo! We’re proud to say we delivered on last year’s promise, both in terms of new (free) software, as well as a broad lineup of new hardware from our Made for Solo program. For the software news — including sense-and-avoid via software; new Smart Shots; and rewind — click here. The Sony UMC-R10C for 3DR’s Site Scan enterprise solution. Available for preorder this summer. Capture ultra-high resolution images with the gimballed Sony UMC-R10C. The large APS-C image sensor allows for exceptional low-light and low-noise performance. 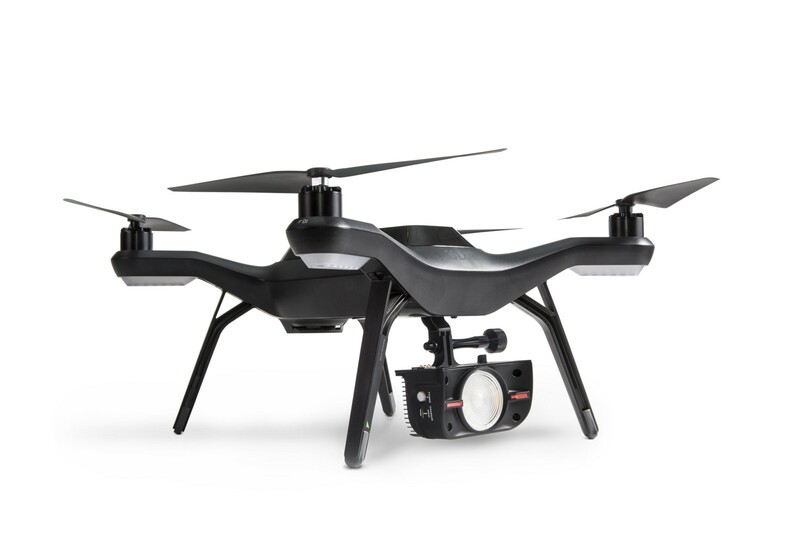 Automatically trigger 20MP stills that are ideal for high-resolution inspections and photorealistic georeferenced 2D and 3D models. Kodak PixPro SP360 4K 360 cameras. An immersive 360-degree VR camera from Kodak, Made for Solo with custom stitching software. It ships this summer, either as a bundle with the vibration-isolated hard mount, or, if you have or buy the cameras separately, with the hard mount alone. As if Solo wasn’t cool enough. Shipping in the next few weeks! 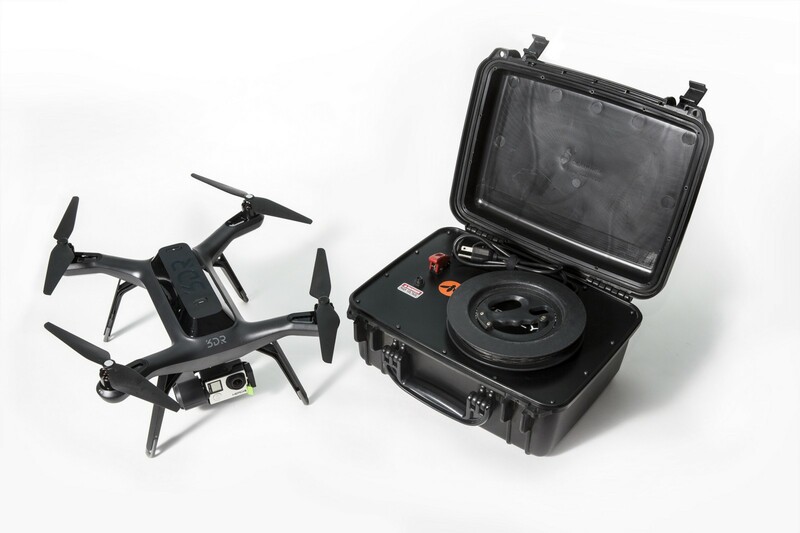 A gimbal for the Flir Vue and the Flir Vue Pro IR cameras from RHP International. And lastly, some safety accessories from PolarPro: Prop guards and bright front/back LED lights, all Made for Solo. PolarPro’s prop guards for Solo add an extra element of protection to your drone. They slip onto each Solo arm, with a retaining clip that locks them in place. Prop guards won’t prevent all crashes; however, they’re a great way to reduce the risk of damaging your drone. 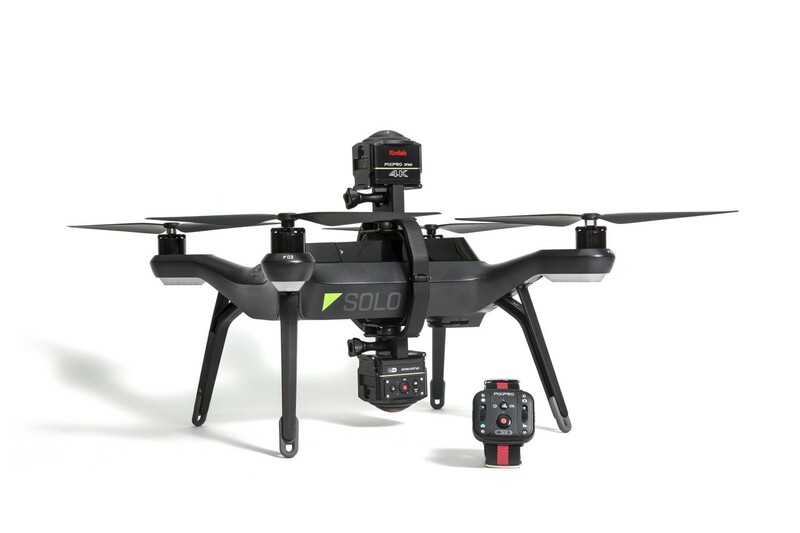 The 3DR Solo LED lights from PolarPro securely mount to Solo for increased visibility while flying. The headlights are white and the taillights are red to allow pilots to determine their drone’s orientation in low light or at a distance.